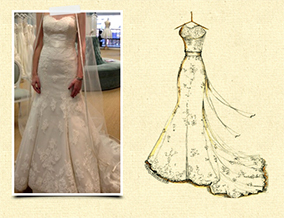 My Dreamlines specializes in personalized wedding dress sketches. Each piece of art is created in France and sent directly to you, anywhere in the world. 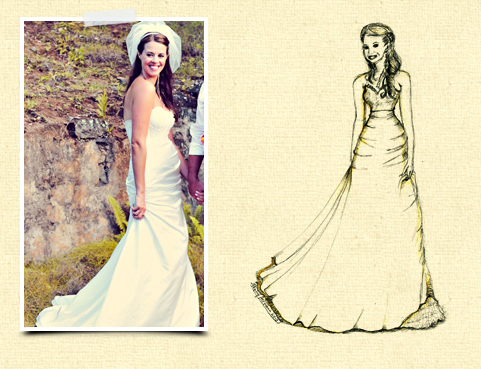 A wedding gown sketch makes for the perfect First Anniversary present, paper being the traditional gift. My Dreamlines sketches can be given as wedding gifts, Christmas gifts and Valentine's Day gifts, in fact for any occasion. Gift Certificates are available, which make a unique wedding present from the maid of honor, the bridesmaids, the mother of the bride, in fact anyone who is attending the wedding, something special for a special day. 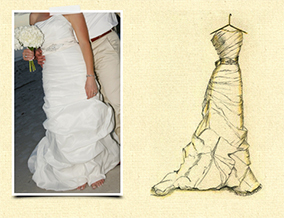 Penelope-Anne Altmann lives in France, where creating beautiful pieces of art is her passion. 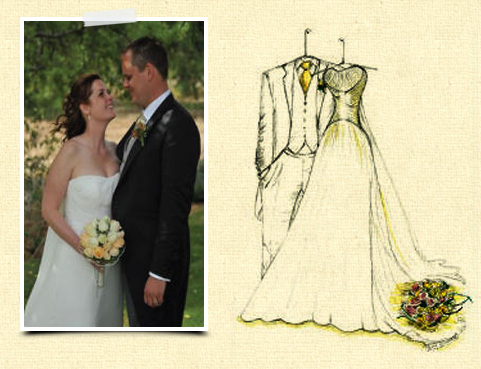 Penny has painted and drawn since she can remember, portraits being her first love but her skill for depicting beautiful bridal gowns has enabled her to expand her talent elsewhere.